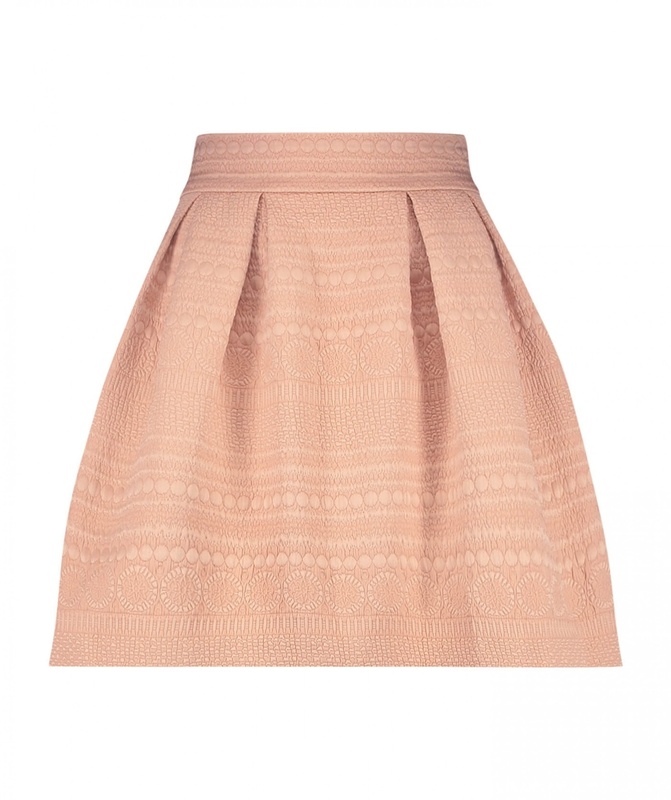 The JOSH V JOLINA SKIRT is made of a jacquard material to create a chic look. 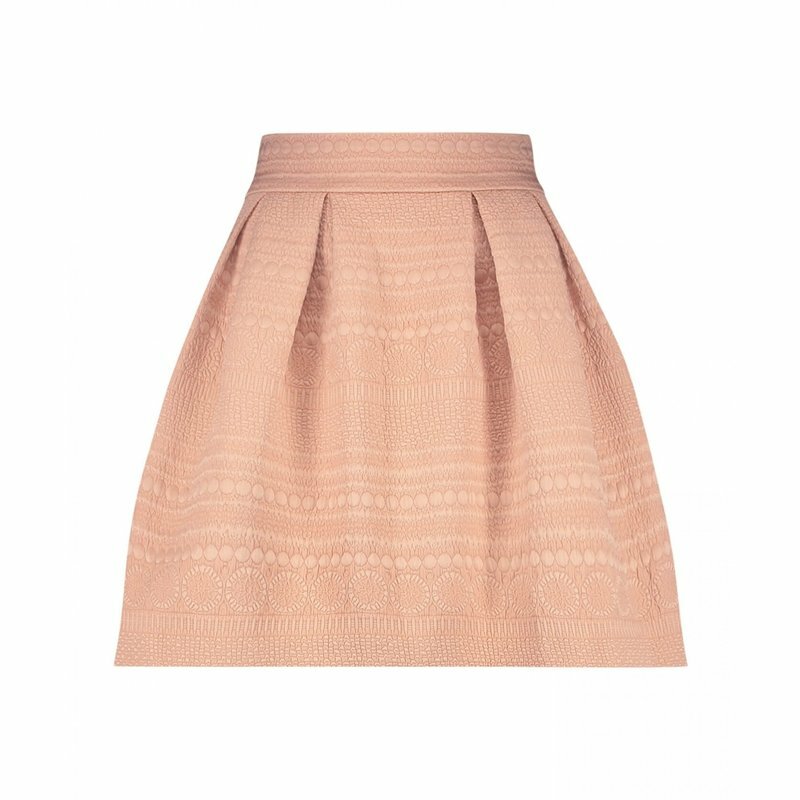 The JOLINA SKIRT contains a loose fit and is close to falling through a zipper at the back of the skirt. There is at the back elastic waistband for comfort.